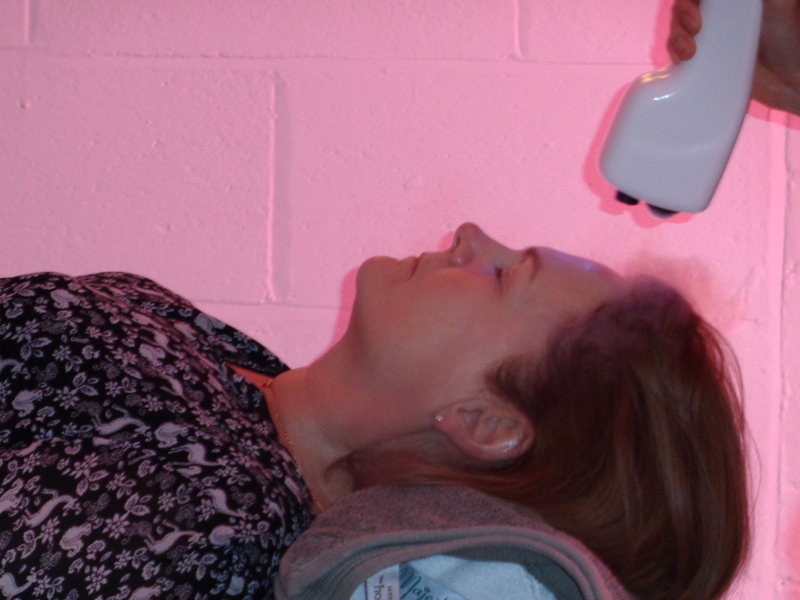 The Hot-Ice Cryo-Facial is a Cryogenic treatment, in which a controlled beam of vaporised liquid nitrogen is used to freeze the skin of the face, scalp, and neck area. The Hot-Ice Cryo-Facial is truly one of a kind and is so relaxing and pleasant that our clients often report how relaxed and refreshed they feel after their treatment. Firstly, by focusing exclusively on the face with local Cryo-Wand, the surface of the face is enhanced immediately as the cold temperatures during a Cryo-Facial close the pores on the skin, and in the process tightens the skin. Also the surface temperature on the skin drops to around minus 7 to 8 degrees Celsius, in order to get back to the right temperature, a lot of blood and oxygen goes to the face, with more oxygen than normal going to the surface of the face, this triggers an increased production of collagen, resulting in smoother, tighter, more even skin tone, reducing visible signs of aging. It will improve the appearance of scars and fine wrinkles and will increase the skin’s elasticity. Collagen is activated to produce more cells, causing skin to become more elastic over repeated use. Your pores will appear much smaller and any inflammation and “puffiness” in the face is eliminated. With repeated applications, the collagen benefit becomes more apparent as the skin’s actual elasticity is returned to an earlier, younger time in the life of the skin. Each treatment features both a Detoxing facial massage as well as a scalp and neck nitrogen massage, leaving you rejuvenated and firm from scalp to chest. The skin becomes tighter, more even-toned, and blood circulation is improved. Additionally, the cold triggers hair follicles to produce hair on your scalp, eye lashes and eyebrows making your lashes and locks stronger and longer. During the Cryotherapy treatment the skin vessels and capillaries undergo a period of vasoconstriction (constriction of blood vessels) followed by vasodilatation (dilation of blood vessels) upon finishing the session. These causes Toxins stored in the layers of the skin to be broken down and flushed away. The intense cold (-180) activates collagen production in the deeper layers of the skin, leaving your skin firm and tight. After several treatments clients have noticed the skin becoming smoother and more even toned with regained elasticity and improved overall “youthful” feeling. An increase of the skins elasticity has also be seen in repeated sessions, which that Cryotherapy anti-aging benefits. 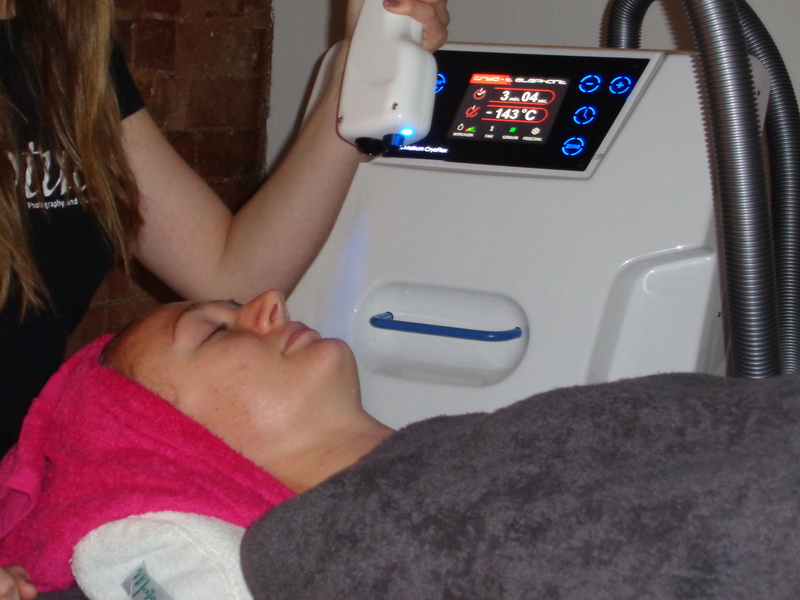 ← Cryotherapy treatments for Psoriasis, Eczema, Acne and Rosacea.